Want best in class collaboration / video conferencing desktop? 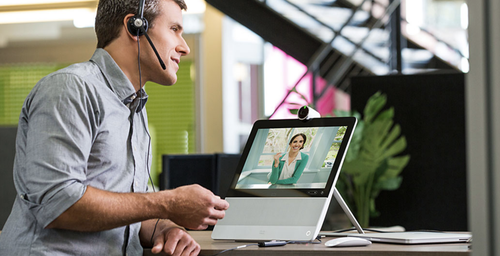 The Cisco DX70 is an affordable 14” touch screen device that turns your desktop into a video conferencing centre. Perfect for a small business or home office as it is compact, but designed to provide high quality audio as well as media playback. It can also integrate with your existing laptop that allows you to share content during online meetings.